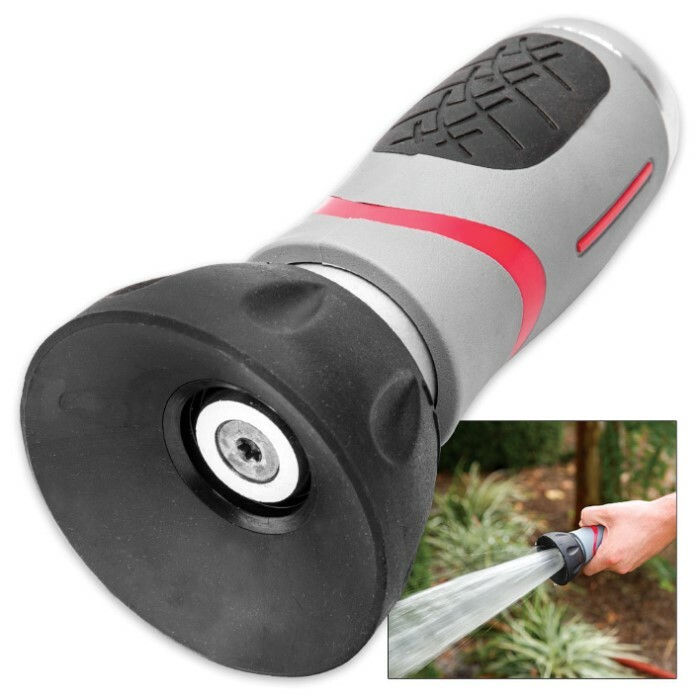 High Flow Hose Nozzle | BUDK.com - Knives & Swords At The Lowest Prices! 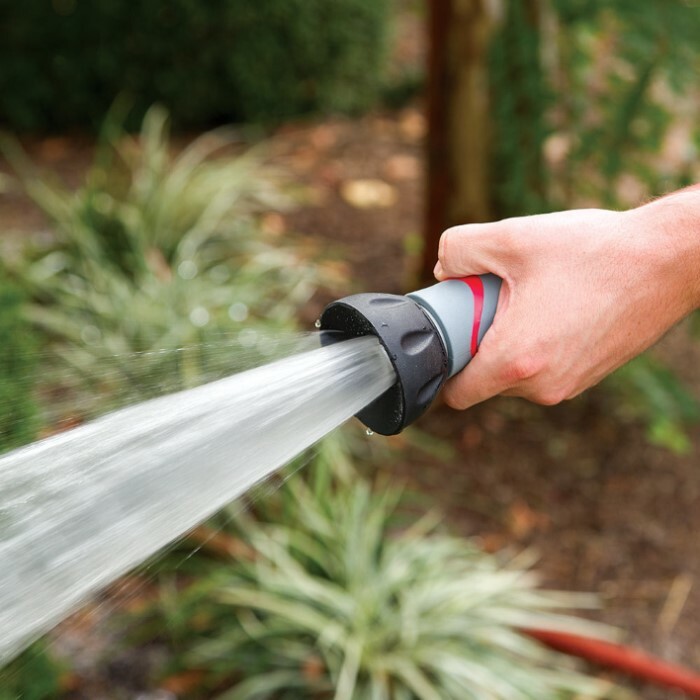 Our High Flow Hose Nozzle has a jet spray of up to 50' but can also be adjusted from a powerful stream to a light mist. 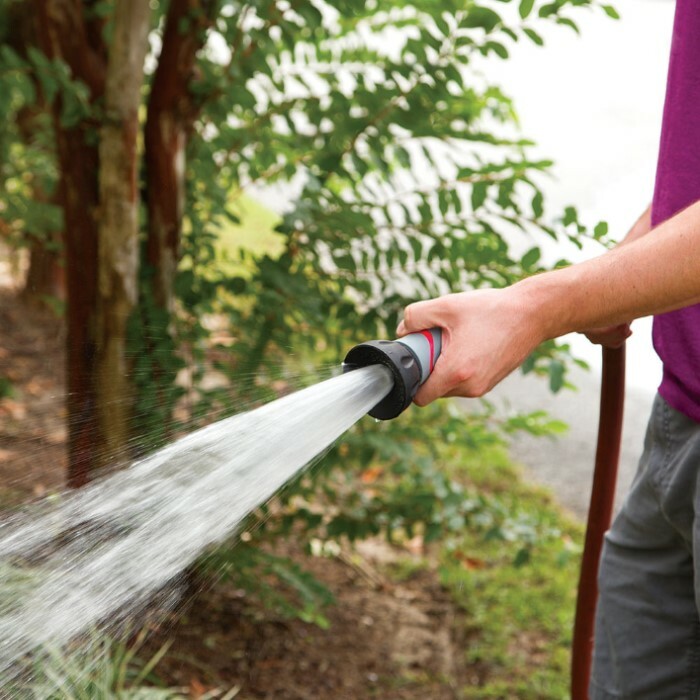 It features a nonslip insulated rubber grip and a rustproof zinc alloy stem.